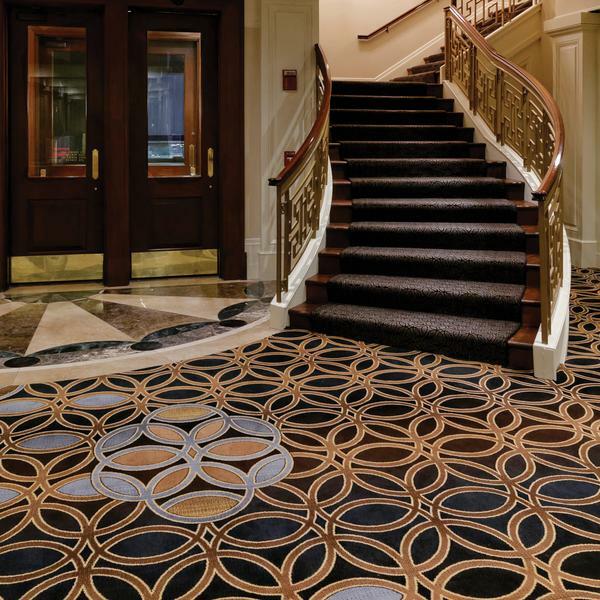 The Seelbach Hilton is equal parts historical landmark and architectural masterpiece. 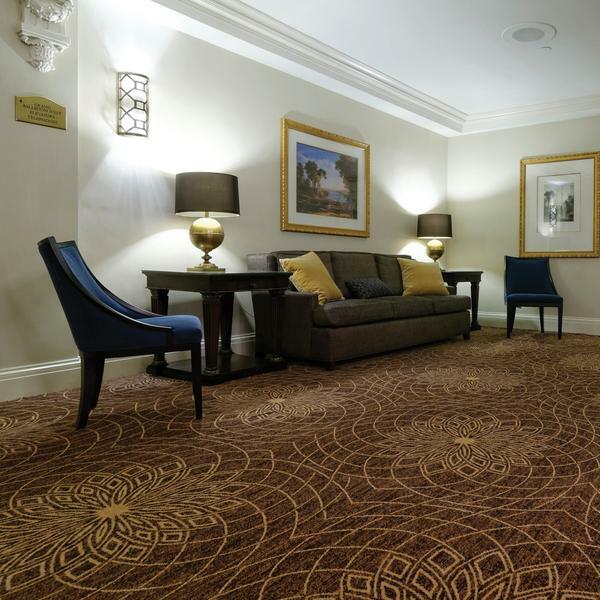 This Hilton property in Louisville, KY has been a premier luxury hotel since its grand opening in 1905. 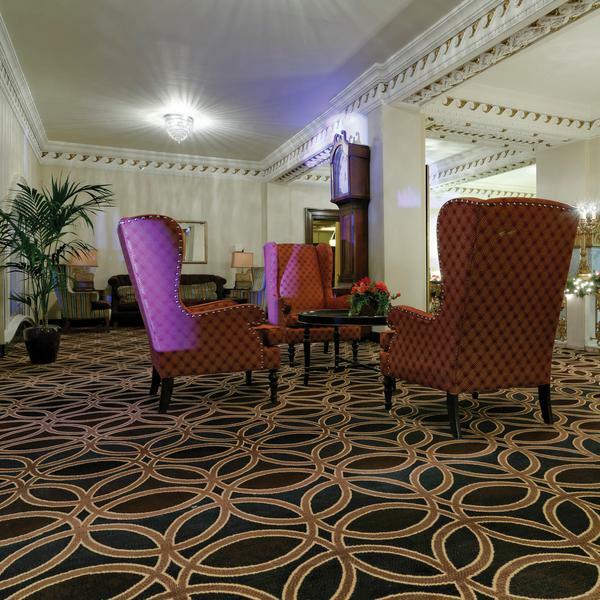 As a landmark of the "golden era," the Seelbach Hilton appears on the National Register of Historic Places, and has attracted many famous figures including presidents and hollywood celebrities. This "golden era" landmark and its grand ambience inspired F. Scott Fitzgerald to use the location as a backdrop for Tom and Daisy Buchanan’s wedding in the Great Gatsby. 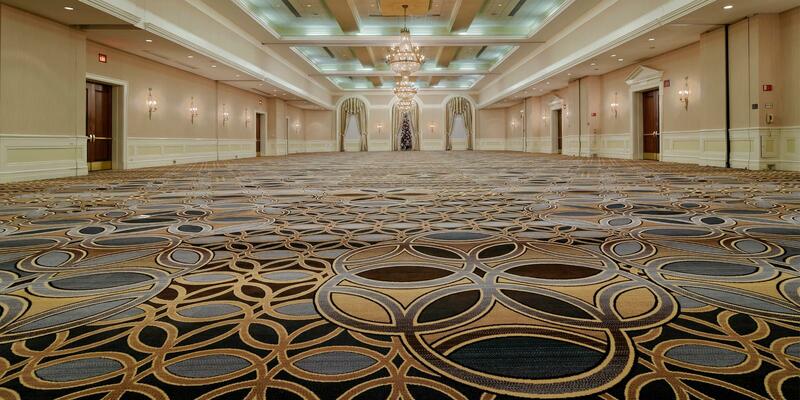 Our goal was to update the properties Grand Ballroom and Prefunction area finishes to the 21st century while being mindful of the existing architectural details. 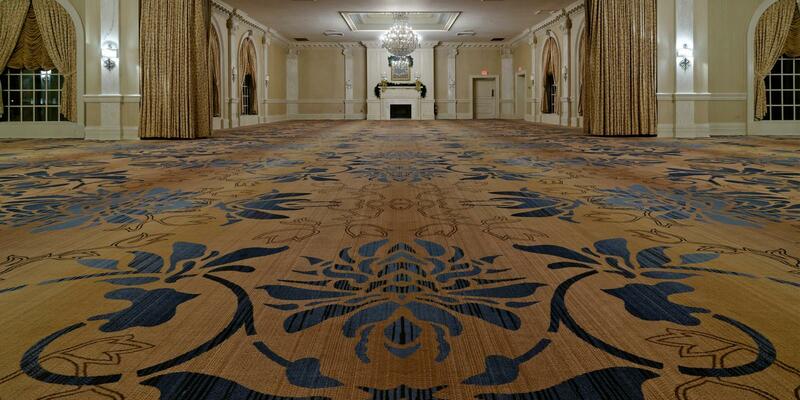 In collaboration with the Brintons' design team, who understood the project and our design goals, we created a spectacular axminster carpet for this historic property. It was a true success for the operator, Interstate Hotels and Resorts, Brintons', and BCDG Studio LLC! Designer | BCDG Studio, LLC.